When it comes to captivating the attention and imagination of young children, Ann Twigg possesses wizard-like abilities. She has many years of experience of working at the local infant school where she is well-known for delighting young children with her stories. The stories and characters in her audiobooks are the same ones that she tells to the young children at school. Ann lives in Sheffield with her husband, a black Labrador and a budgie. She has three children, eight grandchildren and four great-grandchildren. 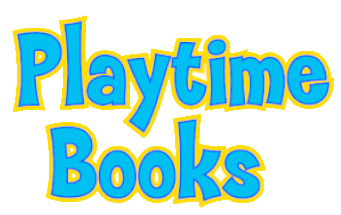 Playtime Books is a family run business based in Sheffield. We sell original children’s stories all of which have been written by Ann Twigg, who has an amazing ability to connect with children through words. We’re passionate about creating fantastic entertaining audio books for young children. Let’s not lose the magic of listening to stories and using our imagination. Our mission is to produce the world’s very best audio book stories for young children between 3 and 8 years of age. We will be writing and recording new stories, and creating new German-language versions for our bilingual collection. Have you noticed how most contemporary children’s books don’t have a proper ending? We will continue to make sure that all our stories have a beginning, a middle and an end! Get 8 Children's AudioBooks for free with Audible trial!